Developing a financial plan for your retirement years requires an approach that is very different from what is customary during your working years. Retirement planning requires a paradigm shift in the way that you think and act regarding your attitude over your money – the money that, perhaps, took 30 to 40 years of hard work and discipline to accumulate so that you could retire someday. This shift in perspective requires the transitioning of a financial plan focused on accumulating assets to one built to intelligently manage and convert assets into sustainable income. During your working career, your earned income should support your lifestyle while, at the same time, accumulating enough wealth to retire later. If you are approaching retirement (within 10 years of your intended target date) or you are already retired, your accumulated assets must eventually take over and support your lifestyle with a sustainable income. Financial longevity in retirement does not happen by accident or default. It takes deliberate planning to develop a strategy that best fits your goals and lifestyle. Once the initial plan is developed, it requires ongoing monitoring to make sure that you remain on target. Bear/declining financial markets happen more often than people realize. The stock market corrects approximately every five years, with the decline averaging at 39% over a 1.5-year period and a recovery time of 5.2 years to get back at par. An entire bear market cycle averages 6.7 years! Pre and current retirees cannot afford damaging losses that potentially may take years to overcome, especially when income is required from those assets. Such a loss could either delay the desired retirement target date or cause a current retiree to make the undesirable decision of scaling back his/her lifestyle or returning to the workforce. 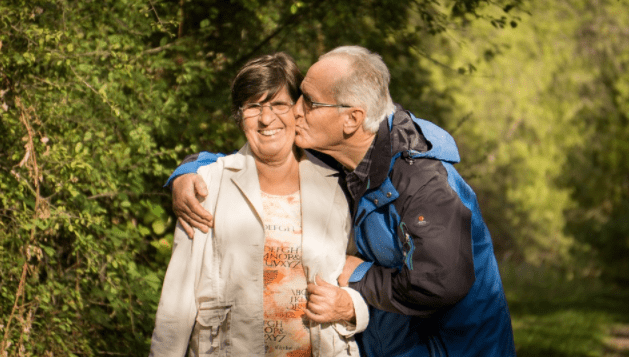 I have been a retirement planner for more than two decades and have worked with hundreds of families to prepare them for and continue living in retirement. Life expectancy has extended upward over the past 50 years. Today, you need to plan based on an expectation that you will live at least 20 to 30 years into retirement. This is important to ensure that you do not exhaust your assets before the end of your life. A sound retirement plan should focus on structuring sustainable income that can last for decades. At Legacy Wealth Designers, we focus on building customized retirement cash-flow plans built to accommodate each family’s lifestyle needs. Plans are monitored daily by utilizing AssetLock, our proprietary portfolio tracking software. AssetLock helps keep clients informed, confident, and focused on their long-term goals while helping protect their retirement wealth. To learn more about AssetLock, you can visit www.legacywealthdesigners.com. Working with a competent retirement planner can help organize your retirement assets into a financial plan engineered to help you live comfortably in retirement through all market cycles and conditions. 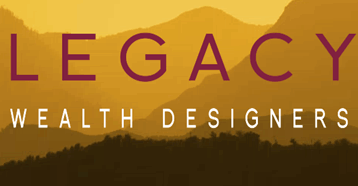 Legacy Wealth Designers specializes in financial planning for pre and current retirees in the Denver/Boulder, Colorado area. Brian Ditton, president of the company, founded Legacy Wealth Designers in 1995. AdvisoryHQ recently listed Legacy Wealth Designers as one of the top rated wealth managers in Colorado. For more information or to get in touch, you can visit their new website at www.legacywealthdesigners.com. Note: This article was written and based on the author’s own personal opinion. Brian is not speaking on behalf of his firm or any professional body. Disclaimer: Investment Advisory Services, offered through Retirement Wealth Advisors (RWA), is a Registered Investment Advisor. Legacy Wealth Designers and RWA are not affiliated. Investing involves risks including the potential loss of principal. No investment strategy can guarantee a profit or protect against loss in periods of declining values. Opinions expressed are subject to change without notice and are not intended as investment advice or to predict future performance. Past performance does not guarantee future results. Consult your financial professional before making any investment decision.